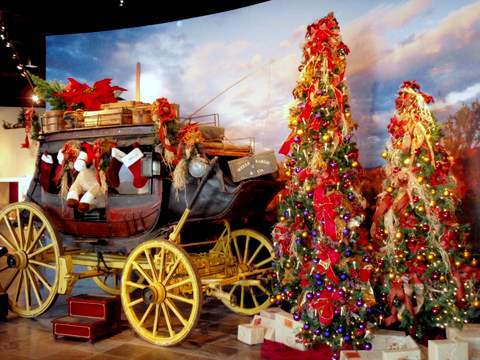 The Wells Fargo History Museum in Phoenix is a world class art and history museum. It has something for everyone, big kids included. And it was free admission at the time of this writing! 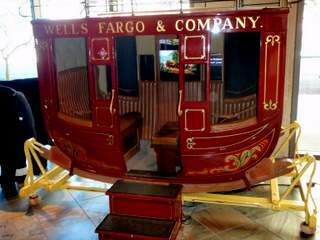 The first thing you see is the giant restored Wells Fargo Stagecoach. This one is from the 1800’s and was used to shuttle people, gold and mail over dusty trails. You can sit in a theater and see old time movies that featured the stagecoach. Or crawl into a rocking mock stagecoach ride that has sights and sounds of the trails. Stage coaches travelled about 5 miles an hour and stopped at stations around 45 miles apart. This was mass transit before autos and airplanes. It was very unpleasant travel by today’s standards. Advice for travelers from an old magazine included advice like where to spit, what to do if the horses ran off, and refraining from pointing out where infamous murders took place. 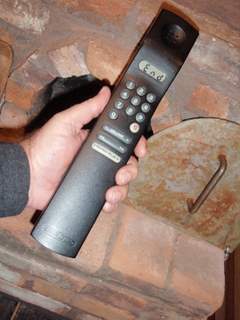 If you want a little more detail then ask the docent at the front desk for a guide. It was also free at the time of this writing. Most exhibits in the museum have a number next to them. Just punch in the number to the guide and press play. 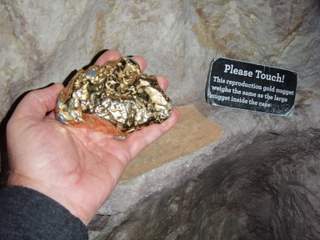 For example, check out this simulated gold nugget that is in the mock mine shaft next to the gold display. It is huge and heavy. But did you notice the nugget has rounded corners that suggest wear and tear from rocks and water in a stream? This giant gold nugget was discovered in Yavapai County Arizona in the Bradshaw Mountains. 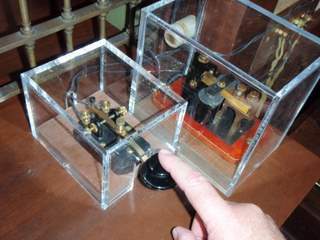 Try your hand at Morse code. Or take a photo of yourself like a president on old money. Jump on a horse saddle and put the cowpoke hat on then take your picture! Its fun! Where did the expression “cut a check” come from? Western art that ain’t stuffy! Like western art? There are oil paintings and bronze art that you will love. See the cowboy on horseback shooting back at the chasing Indians shooting arrows. See smoking guns in gunfights. Amaze yourself at the colors of sheep grazing next to a campfire or buffalo wandering into a water hole at dusk. N.C. Wyeth (1882-1945) is featured with some paintings that are amazing. Above one of the paintings is a touching quote where the young Wyeth tells his mother that a magazine editor really liked his art. Then there are the bronze castings of western characters by Frederic Remington (1861-1909) and others. Remington came from NY and saw that the frontier was disappearing and so captured some history with these bronze sculptures. 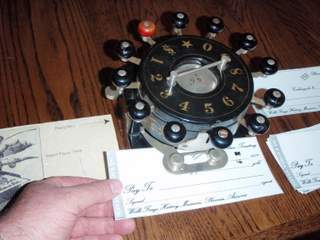 Where is the Wells Fargo History Museum in Phoenix? 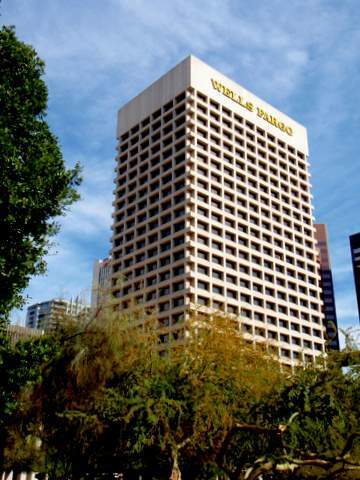 The museum is on the first floor of the Wells Fargo building in downtown Phoenix. It is next to City Hall and just north of the Superior Court Complex. (So if you are on a jury recess this is a smart museum to visit.) Here is a picture taken next to City Hall.